Deanna and Julie have a fun discussion about art history. 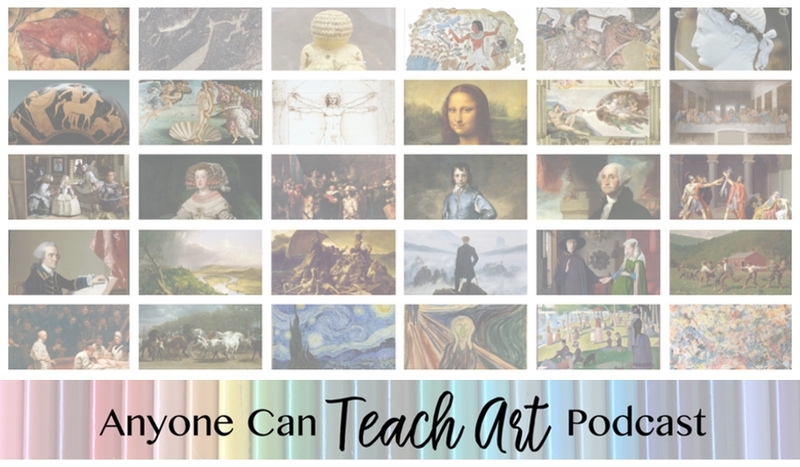 We chat about why studying art history is so important, why starting with a big picture framework is best, and how my Art History Overview chart is arranged to be as helpful as possible. 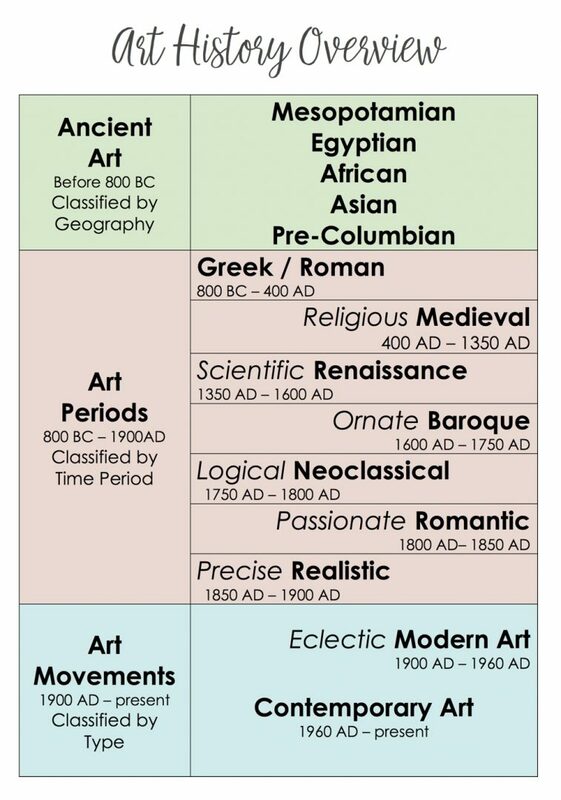 In the previous podcast episode, I introduced you to an Art History Overview Chart. We mention the chart in this episode as well. You can see it below and then download a higher resolution PDF of it. Print this chart so you have a nice copy to show your students as you pass along these ideas. Art history gives us a deeper understanding of the culture the art is from. 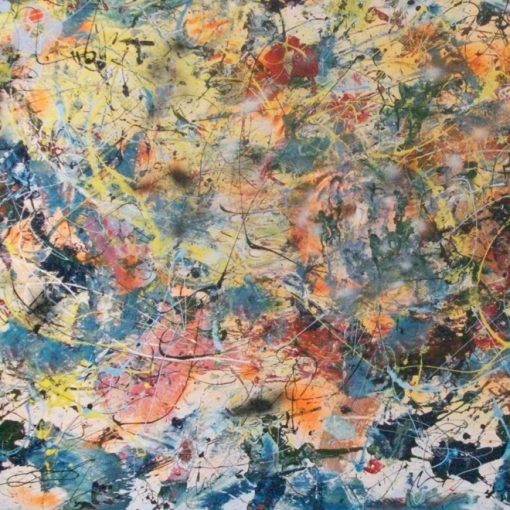 Art both influences culture and is influenced by the culture. Looking at a culture’s art shows us more of that culture. For some ancient cultures, their art is almost the only thing we have. Helps us appreciate diversity in cultures. Art history, helps us to understand the piece of art better. We easily miss the details or the significance of a piece of art if we don’t know the historical context. In 2013 we visited the University of Arizona Museum of Art to see the Samuel H. Kress Collection, including artwork of Fernando Gallego and Maestro Bartolome. At the time we had very little understanding of the history around the art and we feel like we missed an opportunity to appreciate some interesting art. 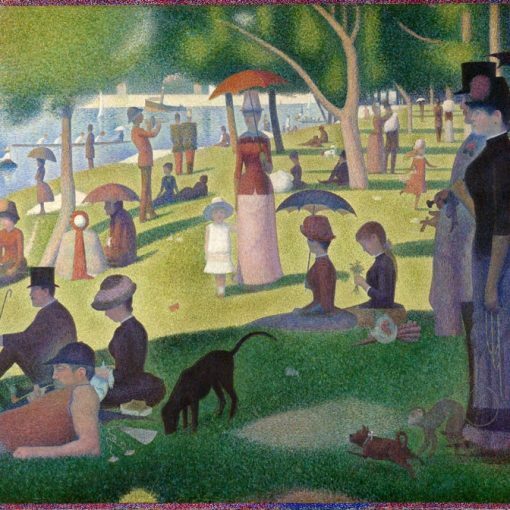 If you don’t know any art history, you’ll miss numerous cultural references to famous works of art. 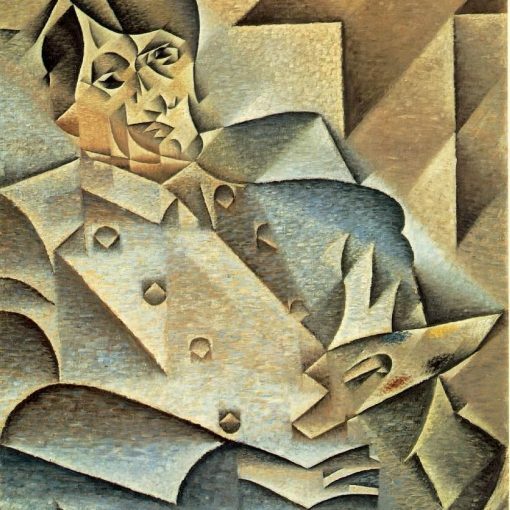 We want our children to know that artists like Picasso and Van Gogh were perfectly able to create art that accurately represented their subject, but chose to create a very different style of art. Integrating multiple subjects into one learning experience creates a web of neural pathways instead of one random fact. 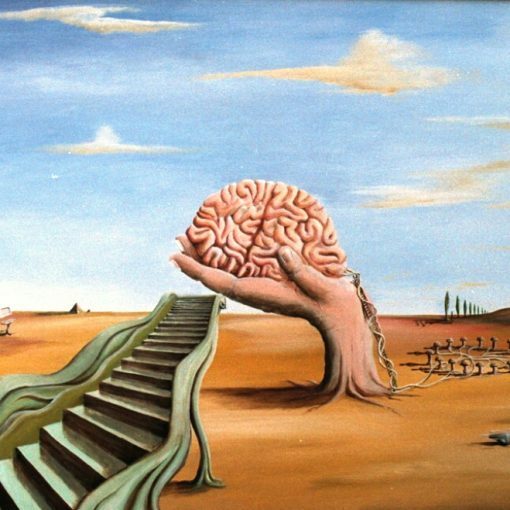 It’s easier for the brain to retain facts built into a web than isolated facts. When we integrate multiple subjects, it allows us to see all the subjects from multiple angles, deepening our understanding of all subjects. Subject integration makes everything more interesting. When we learn something new, we automatically start hearing/seeing it all over (the Baader-Meinhof phenomenon or frequency illusion). This is a natural repetition that our brains create for us. Subject integration works in a similar way and helps us to move information from the short-term to long-term memory. Deanna experienced this when she saw the Haystack series by Claude Monet’s at the Art Institute of Chicago. Why Start with a Framework? 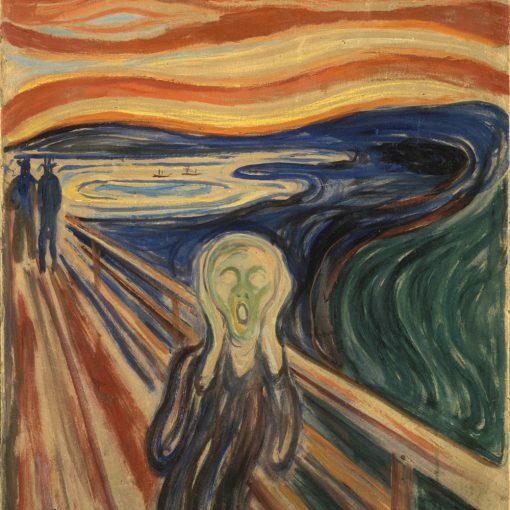 Art history is a big subject- as big as history itself. It’s easy to get lost in all the time periods and movements. Starting with a big-picture framework allows us to better grasp the subject. This is very much in line with the Classical model of education. Two of the hallmarks of Classical Education are subject integration and the stages of learning, called the trivium. The Trivium (latin for “three ways”) is the three stages or ways of learning. According to the Classical model, anytime we’re learning a new subject, we should proceed through the stages in order. The Grammar stage: learning the basic information or the “grammar” of each subject. The Logic or Dialectic stage: This is where we wrestle with ideas. The Rhetorical or Expressive stage: This is where we’re able use what we’ve learned to eloquently express ourselves. For example, if you were to start an electrical home improvement project, you would first want to learn the basic vocabulary and reading about the local safety standards. Then you spend time practicing your wiring, drawing out electrical diagrams, and asking questions. Eventually, you’re able to install new wiring in an attic and hang a new chandelier. Without a framework, all the loose pieces of information become disconnected and easily forgotten. However, with a solid framework at the base of all the art history grammar, anyone can teach art. This framework allows any parent to approach teaching art history with confidence. 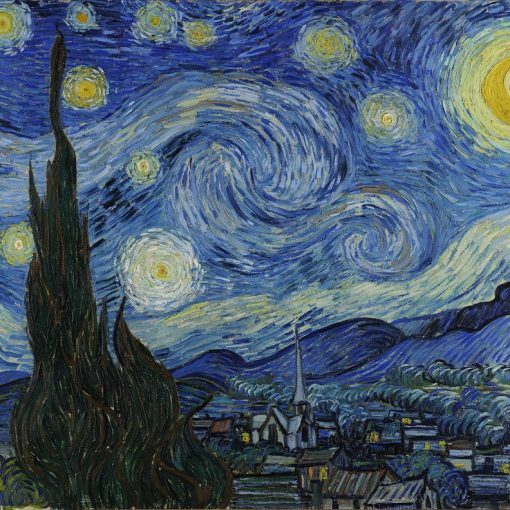 Once we understand Art Periods, we’ll notice more details in a piece of art. For example, when you compare the Vitruvian Man from the Renaissance with The Raft of Medusa from the Romantic Period, we can start to see just how very dramatic the postures are in The Raft of Medusa. Do you feel like you have a big picture framework for Art History now?